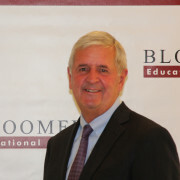 Before founding the Bloomfield Educational Foundation, Joe Kliminski was already a proud member of the community. He attended Bloomfield Junior High School and played on Bloomfield High School’s basketball team near the end of its unprecedented 64 game winning streak. After graduating, he eventually became the president of the American Bank of New Jersey. Joe began the Bloomfield Educational Foundation at former Superintendent Tom Dowd’s suggestion because they both recognized the need to support the town’s public schools. He has served on the BEF’s board ever since. Three generations of Robert Fetterly’s family attended Bloomfield High School: his mother, Robert himself, and his son. Born and raised in Bloomfield, Robert was a founding member of the Bloomfield Educational Foundation and helped to guide it as it took shape. 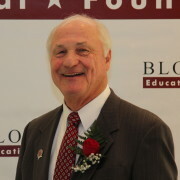 It was his idea to consolidate the fledgling foundation with the high school’s alumni organizations, which allowed the BEF to grow into Bloomfield High School’s premier alumni organization. Robert also founded Reliance Graphics, a company that has supplied ballots to every New Jersey election since 1990.